Find a large assortment of designer styles in the Old Navy women's jeans sale. You’ll just love the way our discount women’s jeans fit and the way they make you look. Find jeans from this assortment in beautiful white as well as in denim blues and prints. Hip and cool, our jeans are always the latest styles. We offer sizes for everyone so that you can find a beautiful, perfect fit. The prices on our discount women's jeans are the best you will find anywhere. Pair our women's jeans with shirts, sweaters, tees and other cute, coordinating fashions. 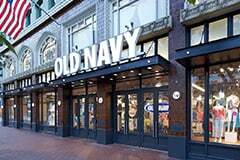 Discover the best prices on fabulous jeans from the women's jeans sale at Old Navy.